MENTAL AS ANYTHING: Juke-R 2.0 has 447kW from its GT-R sourced 3.8-litre twin-turbo V6. 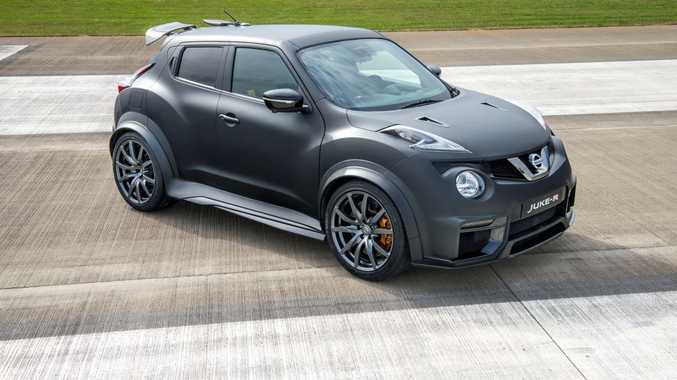 PROVING Nissan didn't feel its 2011 362kW Juke-R crossover supercar was bonkers enough, the Juke-R 2.0 concept has arrived with 447kW from its GT-R sourced 3.8-litre twin-turbo V6. 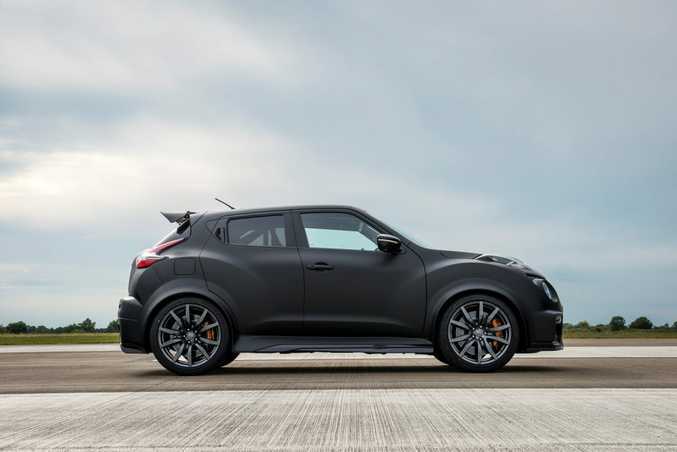 The stealthy compact SUV, which also features running gear from a Nissan GT-R, made its debut at the UK's Goodwood Festival of Speed hill climb last weekend as part of the Juke's fifth anniversary celebrations. The Juke's styling has polarised opinion in Australia since we first received the baby SUV in October 2013, but few would suggest the Juke-R 2.0 has anything but the required muscular body shape to match its fearsome performance. 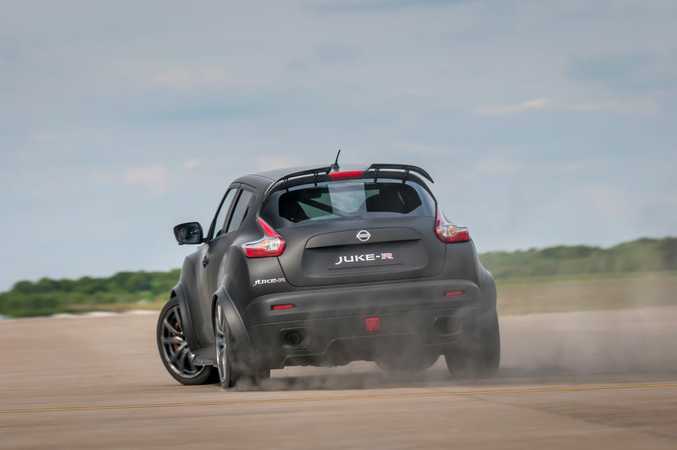 TRACTION OPTIONAL: Juke-R 2.0 was introduced at the Goodwood Festival of Speed in England. Based on the updated 2014 Nissan Juke, the Juke-R 2.0 features carbon engine cooling ducts in the bonnet and a full carbon fibre front bumper with cooling apertures more than doubled in size to try and to ventilate the uprated 447kW motor. The rear bumper incorporates a carbon diffuser and new exhaust cowlings, muscular wheel arches and side sills are also of carbon fibre, wheels are the newer design GT-R alloys and the colour is Juke-R signature matte black. And while the idea of owning a GT-R beating Juke appeals - the Juke-R 2.0's V6 is based on the ultimate NISMO version - Nissan isn't about to let these animal compact SUVs anywhere near the general buying public.